It's the weekend to be a runner in Boston, and even if you're not running the marathon, enjoy shakeout runs, athletic panels, and more. By Kalina Newman·	 4/12/2018, 4:43 p.m.
John Hancock Sports and Fitness Expo: Just because you’re not picking up a race bib doesn’t mean you can’t enjoy the expo. The fair will be open all weekend for the public to celebrate the marathon and enjoy a wide array of running gear from companies including Adidas, Gatorade, and New Balance. Free, 4/13-4/15, Seaport World Trade Center, 200 Seaport Blvd, Boston, sportsfitnessexpo.com. Runner’s World Pop-Up: In its second year, Runner’s World magazine’s pop-up store promises more merch and dozens of events. 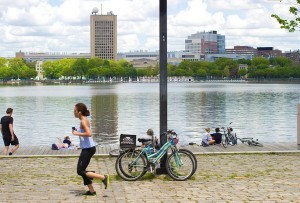 Between yoga classes, shakeout runs, and networking, there’s something for everyone. Free, 4/13-4/15, Runner’s World Pop-Up, 899 Boylston St., Boston, runnersworld.com. 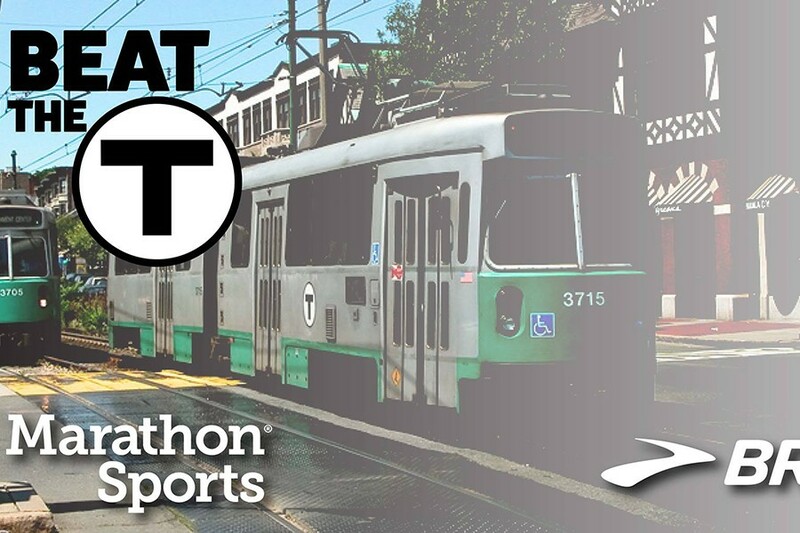 Beat The T: If you think you can outrun the T, team up with Brooks Running to race the train from Copley Station to Marathon Sports in Brookline. Post-run, head to The Publick House for drinks. 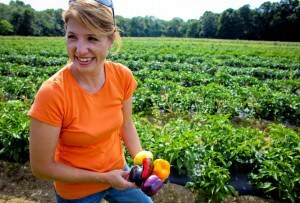 Free, 2 p.m.-5 p.m., Prudential Center Boston, 800 Boylston St., Boston, facebook.com. Eat & Run With Kathrine Switzer: Meet Boston Marathon legend Kathrine Switzer, the first woman to run the race, and enjoy tasty dishes from local restaurants like Tapestry and Sweet Cheeks. Eat & Run is free, but be sure to RSVP in advance. Free, 12:30-2:30 p.m., AT&T Boston Flagship Store, 699 Boylston St., Boston, eventbrite.com. One World Strong Documentary Screening: Join the One World Strong Foundation, a nonprofit dedicated to providing support for victims of terrorism or trauma, for a screening of the documentary BOSTON, which details the history of the Boston Marathon. $18.50, 6:30 p.m.-9:30 p.m., ShowPlace ICON at Seaport, 60 Seaport Blvd., facebook.com. Everybody’s Run: Ciele Athletics and lululemon are partnering up to offer a shakeout run beginning at lululemon’s Seaport location. After you exercise, the fun will continue at an afterparty hosted at Tuscan Kitchen Seaport. Beer from Mystic Brewery, small plates, a DJ, and a marathon-exclusive lululemon product will all be on-hand. Free, 3 p.m.-5 p.m., lululemon Seaport, 62 Seaport Blvd., Boston, eventbrite.com. Free, 9 a.m.-11 a.m., Tracksmith Trackhouse, 285 Newbury St., Boston, eventbrite.com. B.A.A. Relay Challenge: Watch middle-schoolers from across greater-Boston compete in the Adidas-sponsored Relay Challenge. The event is a chance for young athletes to race near the famous marathon finish line. Free, 1 p.m.-3 p.m., Copley Square Park, 600 Boylston St., Boston, baa.org. Hub on the Run: Join Boston Marathon Adidas RunBase for a low-intensity, 45-60 minute run around Boston’s historic sites. The jog will be guided by volunteers from Achilles Boston, a nonprofit that partners able-bodied runners with athletes with disabilities. Free, 9:30 a.m.-10:30 a.m., Adidas RunBase, 855 Boylston St., Boston, eventbrite.com. Boston Marathon Days at the Museum of Science: Whether you’re interested specifically in running or fitness more broadly, enjoy a special exhibit put on by the Museum of Science. Discover how the Boston Athletic Association tracks its marathon runners, listen to guest speakers, and learn about endurance and the human body. $25, 4/14 and 4/15, 12 p.m.-3 p.m., Museum of Science, 1 Museum of Science Driveway, Boston, mos.org. Let’s Talk Running: Relax and enjoy food from Flour Bakery + Cafe as runners and authors Mark Sutcliffe and Rachel Cullen discuss on their own personal journeys running the Boston Marathon. Sutcliffe is the author of Long Road to Boston, and Cullen wrote the memoir Running for My Life. 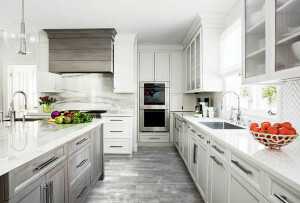 Free, 3 p.m.-5 p.m., Flour Bakery + Cafe, 12 Farnsworth St., Boston, eventbrite.com. UCAN Run Panel: Listen to elite athletes including Olympians Meb Keflezighi talk about how to become a better runner—whether that means getting faster or just getting out there. $10, 12-1:30 p.m., The Westin Boston Waterfront, 425 Summer St., Boston, eventbrite.com. Pre-Race Pasta Party: Join the Boston Road Runners for a free pasta party outside the Capital One Café in the Back Bay to make sure your body is properly loaded before the 26.2 or just because you like pasta. Registration is recommended. Free, 3:30-7:30, Capital One Café, 799 Boylston St., Boston, facebook.com. 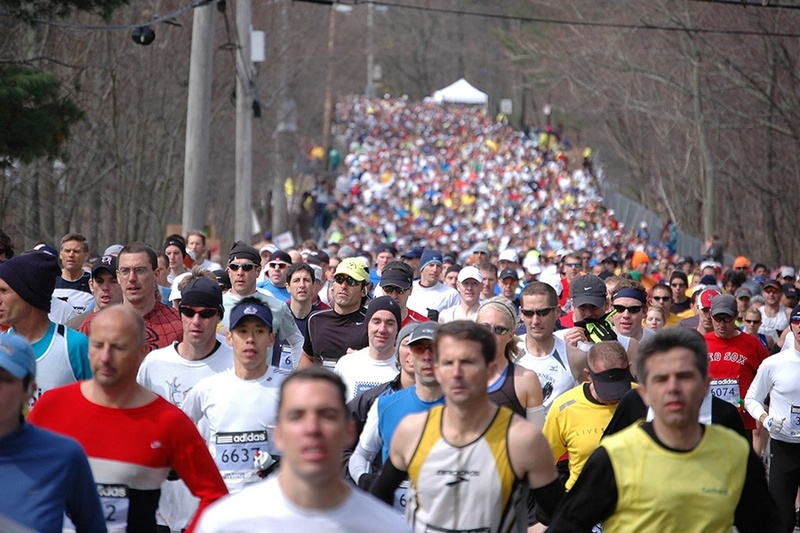 Marathon Runners Mass: Our Lady of Good Voyage, a Catholic Church in the Seaport, will host two masses for marathon runners and offer special blessings for the athletes. Free, 11:30 a.m. and 7 p.m., Our Lady of Good Voyage, 51 Seaport Blvd, Boston, facebook.com. Hoka One One Shakeout Run: Whether or not you’re running the race, join sporting-goods store Hoka One One for a 3-4 mile run around Boston, followed by mimosas. Free, 9 a.m.-10 a.m., 211 Newbury St., Boston, facebook.com. 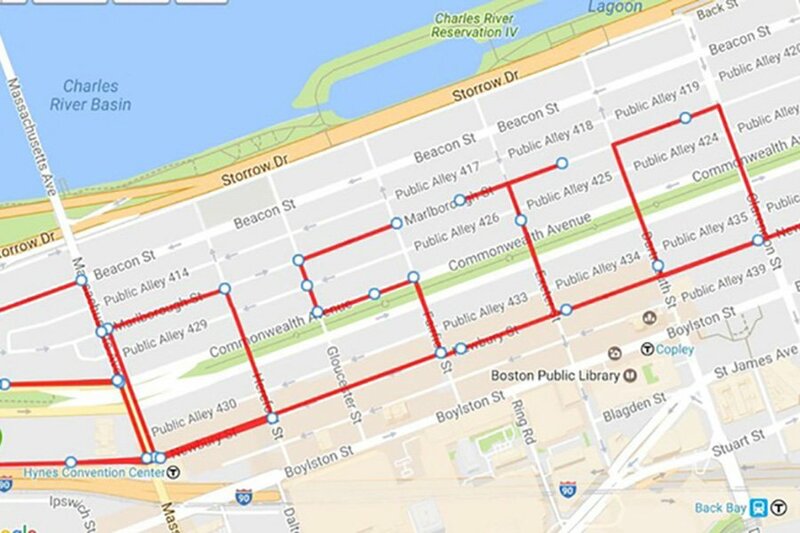 6th Annual #BostonRun: Start your day bright and early with a run around Back Bay to spell out the word “Boston” with your GPS map. All paces are welcome, and the run will be between 4 mile and 5 miles. Free, 6:45 a.m.-9 a.m., Charlesgate Rd. and Newbury St., Boston, facebook.com. Pre-Marathon Bike Ride: Why bike the race course once when you can do it twice? Meet up with other riders on Sunday night for a 50-mile out-and-back trip hosted by RideCrazy Boston. Expect the ride to take 3-4 hours. Rally with 45: Support the Pedro Martinez Foundation’s marathon participants with a night at Hurricane’s at the Garden. The foundation provides educational opportunities to underprivileged students in Latin America and the United States. $39+, 5 p.m.-8 p.m., Hurricane’s at the Garden, 150 Canal St., Boston, eventbrite.com. Midnight Marathon Bike Ride: Are you crazy enough for a self-guided marathon on a bike? What if it happened over night? Are you motivated by a post-ride pancake breakfast? Then this event is for you. Participants will meet at South Station and ride the commuter rail to the starting line. And though bikes aren’t allowed on the train a separate bike transport service will be available. Free, $15 for breakfast, 10:40 p.m., South Station, 700 Atlantic Ave., Boston, midnightmarathon.org. Tracksmith Viewing Party: Enjoy the marathon from the Tracksmith Trackhouse on Newbury Street. And if you’re running the race, be sure to finish fast: The first runner to reach the bar gets a free beer and robe. 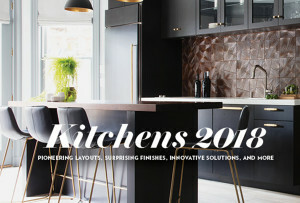 Free, 9 a.m.-8 p.m., Tracksmith Trackhouse, 285 Newbury St., Boston, eventbrite.com. #SissyThatRun Marathon Party: Celebrate LGBTQ athletes competing on Patriots Day with a party right next to the finish line at The Theater Offensive. Enjoy food, drinks, and drag performances, and cheer on the founder Abe Rybeck, who will be competing in the race. Free, 2 p.m.-5 p.m., The Theatre Offensive, 565 Boylston St., Boston, eventbrite.com. Marathon Benefit at the Beehive: Join the Beehive for a night of live reggae and soul music. The proceeds of the fifth annual benefit night will go to the Gillian Reny Stepping Strong Center for Trauma Innovation at Brigham and Women’s Hospital. 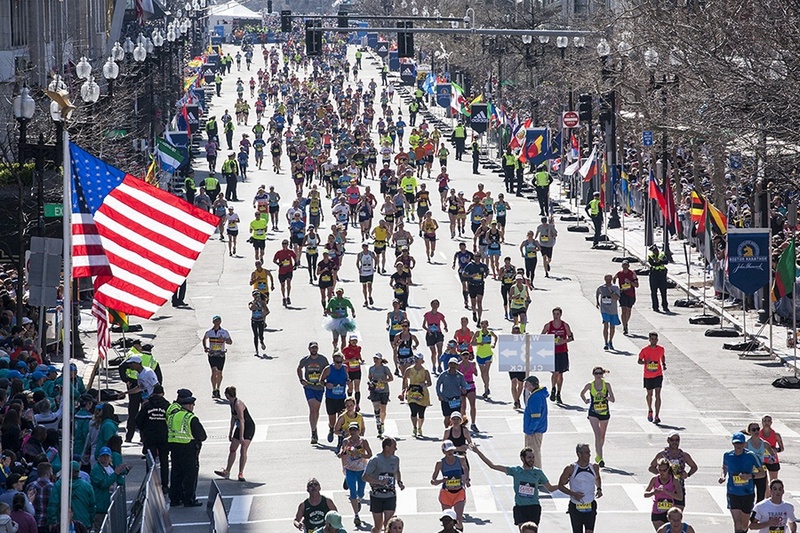 Marathon Monday at the Mandarin: Benefitting the Spaulding Rehabilitation Hospital, the marathon watch party at the Mandarin Oriental Hotel will feature entertainment and food all day long. $75, 12:30-6:30 p.m., Mandarin Oriental, 776 Boylston St., Boston, facebook.com. Heather Abbott Foundation Watch Party: This year, watch runners cross the finish line at Bar Boulud on Boylston Street. The Heather Abbott Foundation works to provide support and prosthetics for amputees and will be cheering on Team Limb-it-less. 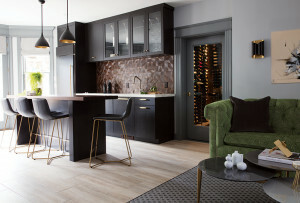 $100, 11 a.m.-4 p.m., Bar Boulud, 776 Boylston St., Boston, eventbrite.com.